Hot water burns are very common accidents that happen in every household. Hot water burns are a very terrifying experience in itself and to top it all the marks it would leave on the skin can scare you whole life! To avoid this we need to know about the first aid for burns at home and also how to treat the wound well in order to heal them completely. Scalding is the term used for accidents by burns and it is a very traumatic experience. There are three stages of an accident by burns. First degree burns, second degree burns and third degree burns. First degree burns: They are associated with mild hot water burns, wherein usually the burns are not much deep. At the most there might be certain lesions on the skin outside. Second degree burns: They are more severe burns, where the damage is not just on the outer skin but it is seen on the tissue below too. Usually it is defined by blisters, severe pain along with redness on the skin. Third degree burns: They are the too severe burns. Here the skin outside as well as the tissue underneath are damaged completely or severely. A very severe and permanent lesion along with swelling is noticed in this case. Usually home remedies are implemented just in first degree burns or sometimes in less severe second degree burns. Under no circumstance should home remedies be carried out on a third degree burn victim. Hot water burns are most often first degree burns so there is no need to panic and simple home remedies will work wonders as a first aid treatment. 1. Running water: First and foremost hold the hot water burn area under running water for good ten to fifteen minutes. 2. Honey: Honey is a very common ingredient that is used to calm down the hot water burns. Just smear the honey on the area of concern and leave it. 3. Tooth paste: A thin layer of tooth paste can be applied on the hot water burn. The tooth paste is great to soothe the burn and helps in faster healing of it. 4. Aloe Vera: Aloe Vera is also great to be applied on the hot water burns as it is a natural cooling ingredient. 5. Vinegar: Applying diluted vinegar is also beneficial for hot water burns. Vinegar is known to be an antiseptic as well as an astringent and it will give quick relief to the burns. 6. Yoghurt: Yoghurt has also proved to be beneficial if applied after 30 minutes of accident. 7. Tea bag: The tea bags are a great option to treat hot water burns. Cold tea bags can be placed on the first degree wound for some time, take out after that, soak it again in cold water and repeat the process. 8. Onion: Onions should be cut into half first and then the juice needs to be extracted. This juice has to be applied on the injury. The onion juice has a soothing effect on the hot water burns. Just ensure that the juice is fresh or else it won’t have any effect on the injury. 9. Raw milk: Soak a clean cotton or clean cloth in fresh raw milk and place it on the wound for about fifteen minutes. Repeat it several times. 10. Egg white: This is actually a miracle potion for hot water burns! The burnt skin has to be smeared completely with egg white; once it is applied the pain considerably decreases. But once it dries clean it off and repeat the process or else the pain will relapse. 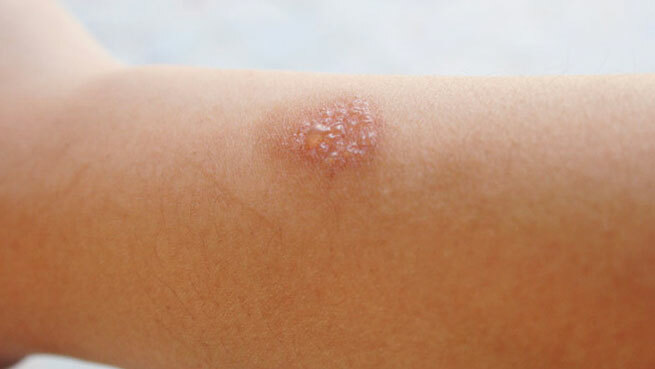 This remedy is also known to prevent scarring that happens from the burn. Post the first aid the wound has to be left free, for at least a day in order to heal completely.